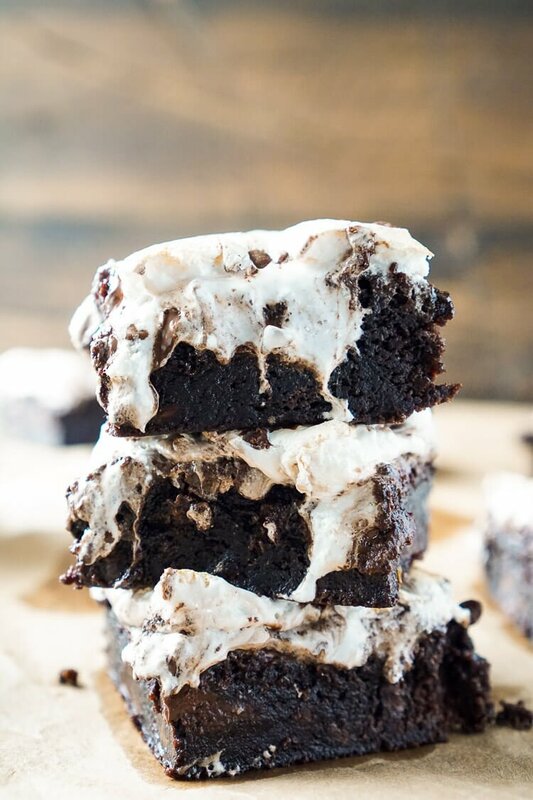 These Mud Pie Brownies are super easy to make thanks to a little cheat, but pack in the rich chocolate flavor with toasted marshmallow fluff! I’m in Chicago for the weekend at a conference where I’m supposed to learn all kinds of good stuff, but really I’m here for the food and friends. It’s been a long few weeks and I’ve definitely been in serious need of a few girls nights loaded with laughs! Speaking of laughs, are you guys excited about the new Peanuts movie hitting theaters today? Peanuts is such a classic and I think it’s going to be super duper cute! 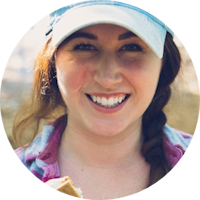 Speaking of cute, I’ve teamed up with some awesome bloggers who have each made something inspired by a particular character! I have Violet who loves making mud pies, so I made Mud Pie Brownies of course! 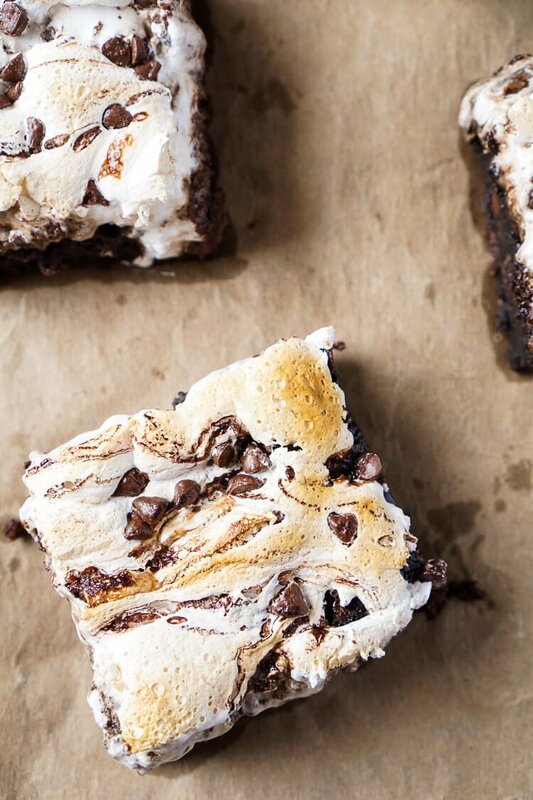 These brownies are a little bit of a cheat, sometimes you just gotta simplify things, am I right? 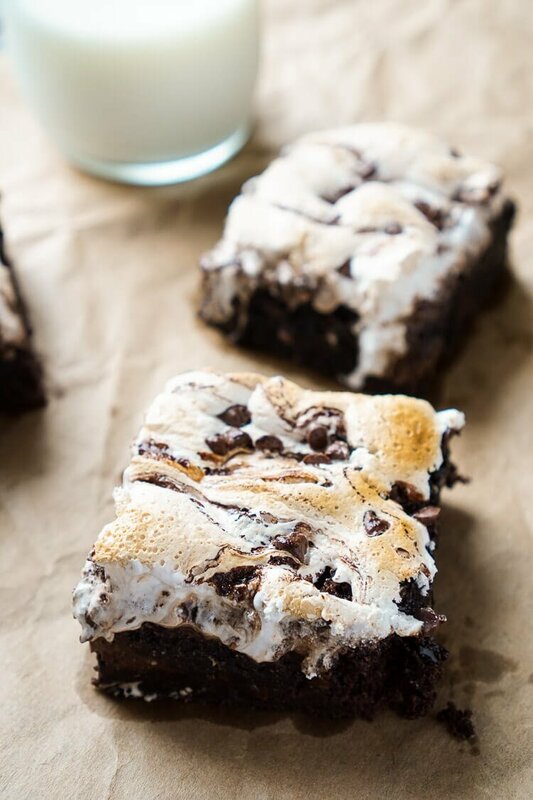 I used a store bought brownie mix then topped it with chocolate syrup, marshmallow fluff and chocolate chips; then I broiled it for a couple minutes to get it all toasty and melty! I love taking premade stuff and doctoring it up to make it even more delicious! Especially around the holidays is just makes things so much easier. 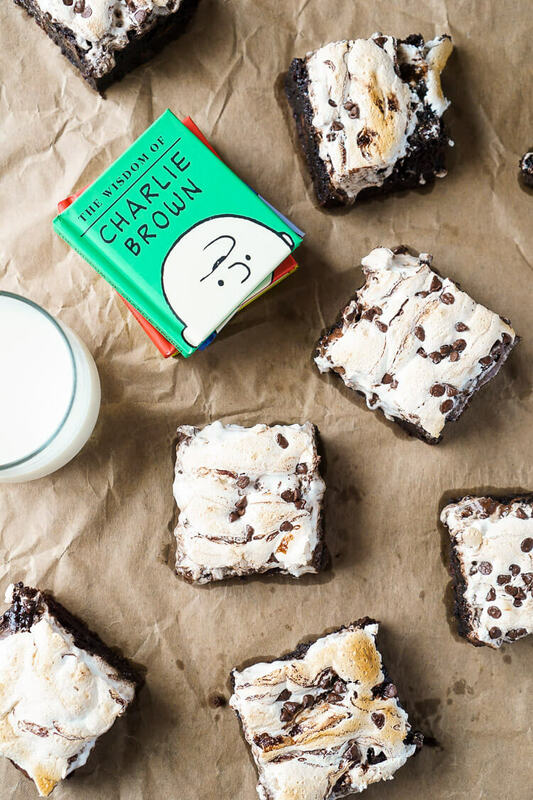 Plus, boxed brownies are kinda awesome, just sayin’! 1 box brownie mix I like the Ultimate Hershey's mix. Preheat oven to 325 degress F.
Line 8x8 in. baking pan with aluminum foil. 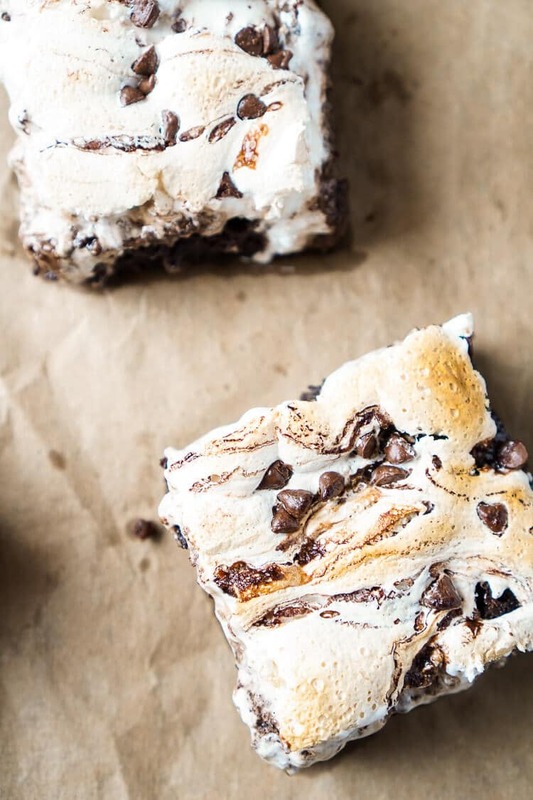 Remove from oven and pour on chocolate syrup, spread on fluff, and sprinkle with chocolate chips. Broil for 2-4 minutes until fluff begins to turn a toasty brown. 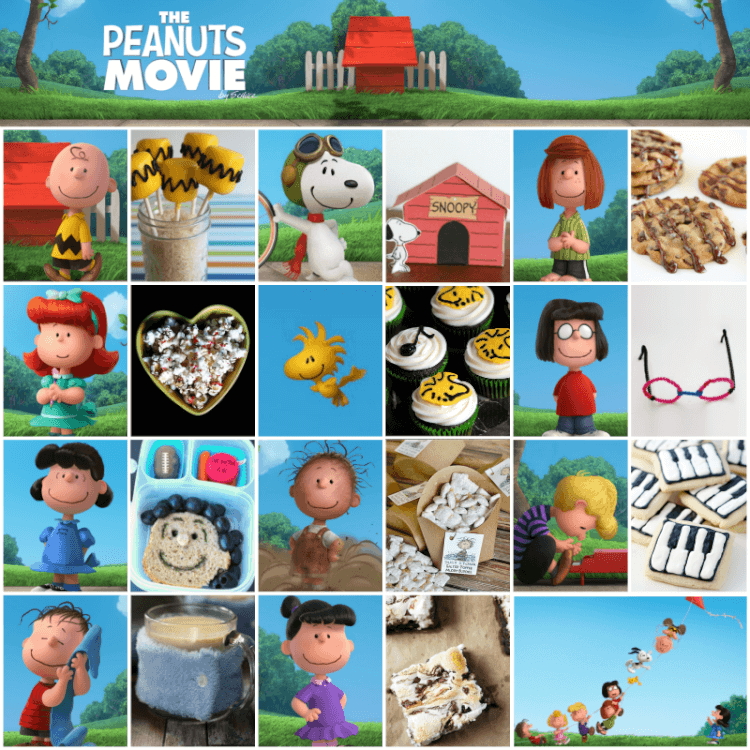 Check out all the other great Peanuts creations! 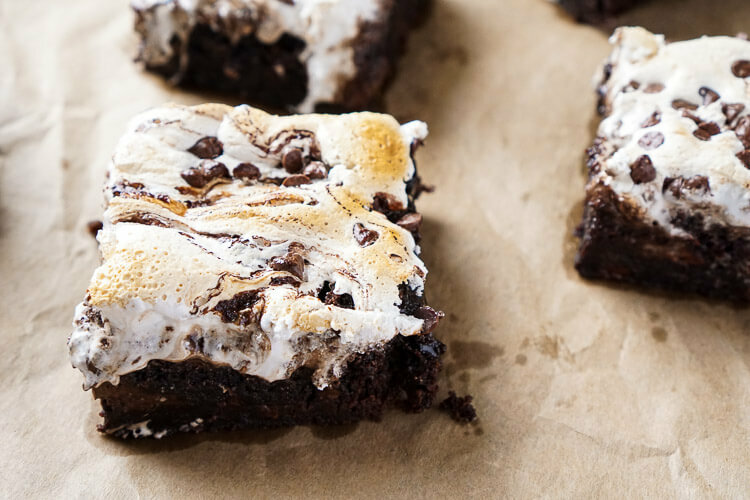 I love that you slid them under the broiler to get the fluff toasty – they look absolutely delicious and addictive. I think I’ll have to make a batch this weekend. These look like they might be the best thing ever! 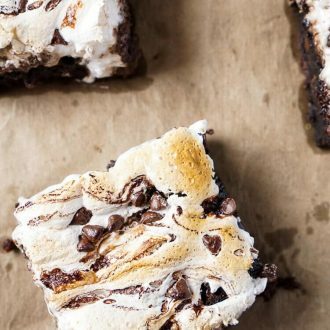 As I huge supporter of boxed brownies I fully approve of these and that topping looks incredible! ! Right! 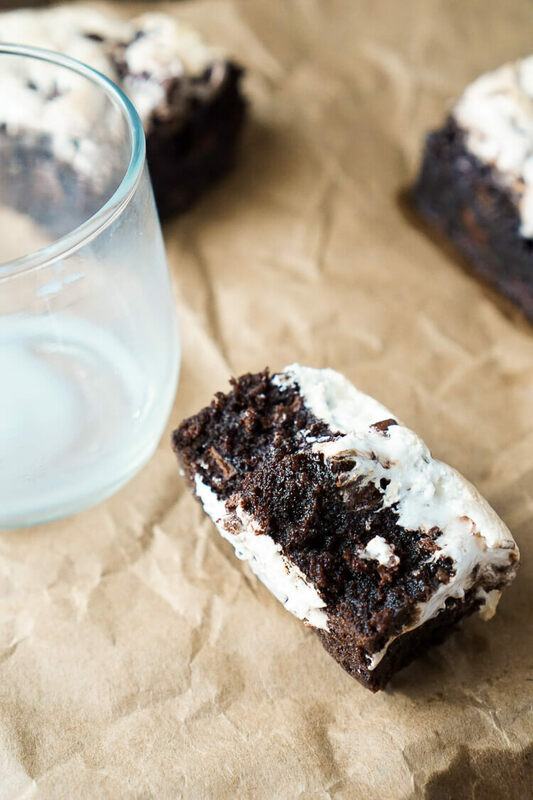 I LOVE boxed brownies and adore dressing them up a bit! Made this for dessert tonight and it was fantastic!! Thanks for sharing your recipe!!! I’m so glad your family enjoyed it, Lisa!